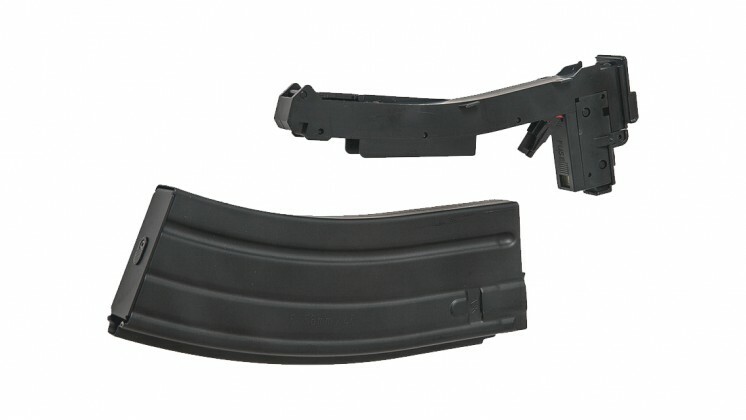 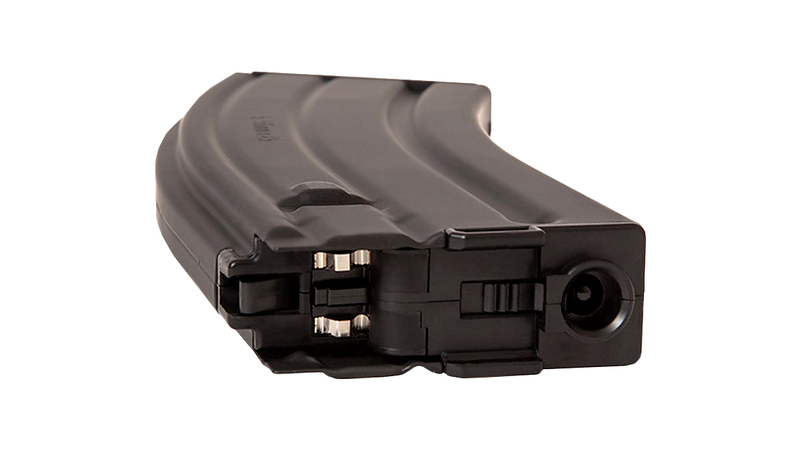 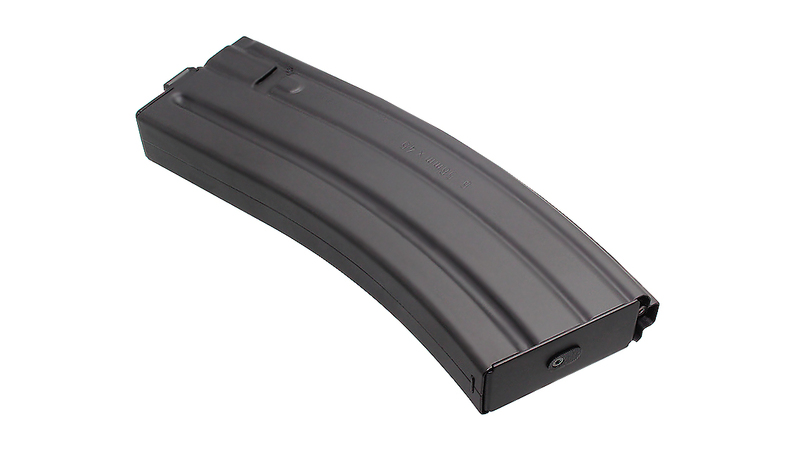 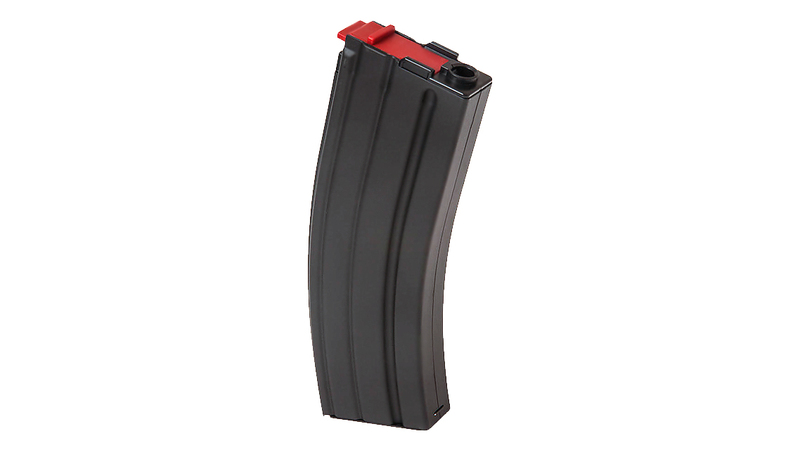 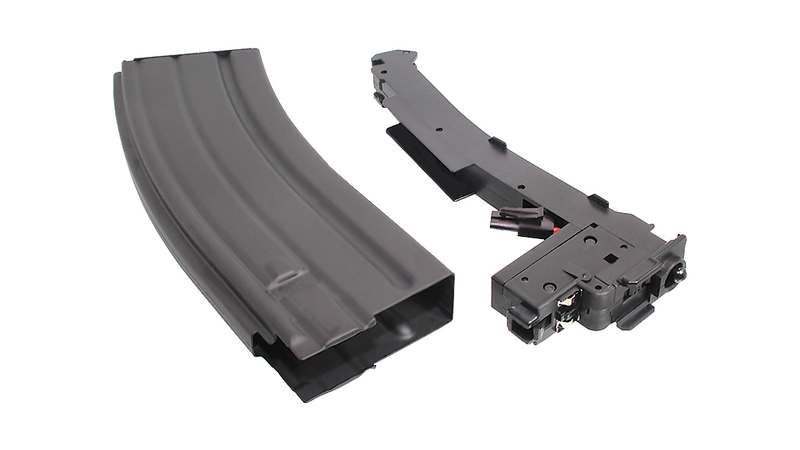 The Tokyo Marui 30rds Battery Storage Type Magazine fits one small and thin 8.4v battery (which you have to buy separately) which you can use to power the Tokyo Marui HK416C. 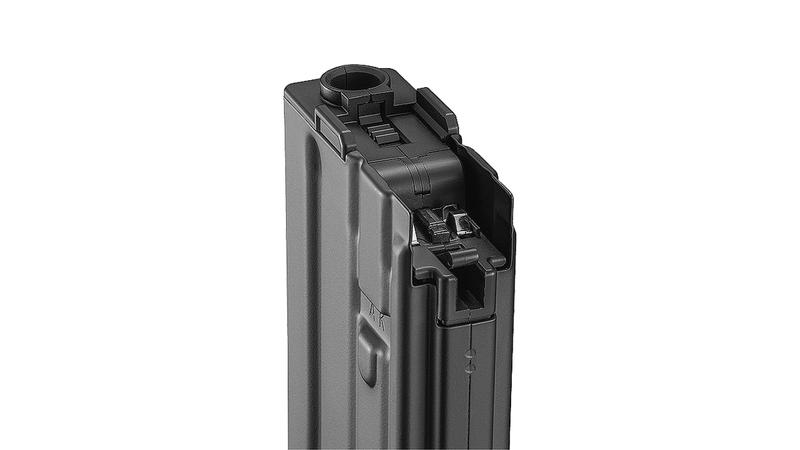 If you're wondering which battery will fit in the magazine, we suggest using the Sanyo 8.4v 600mah Battery (NiCd) - Small Mini Type, G&P 8.4v 1100mah Battery (Ni-MH) - Small Type or the GP 8.4v 1100mah Battery (NiMH) - Small Mini Type. 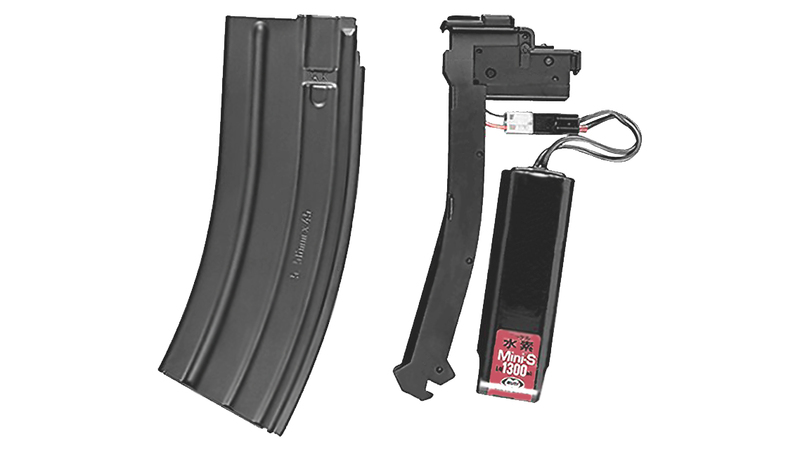 It's a configurable 30 round magazine making this a very realistic gun perfect even for law enforcement training purposes!